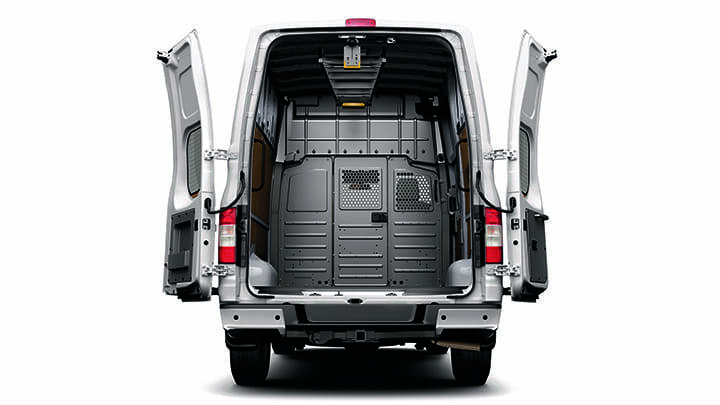 Need more space for your business cargo needs? 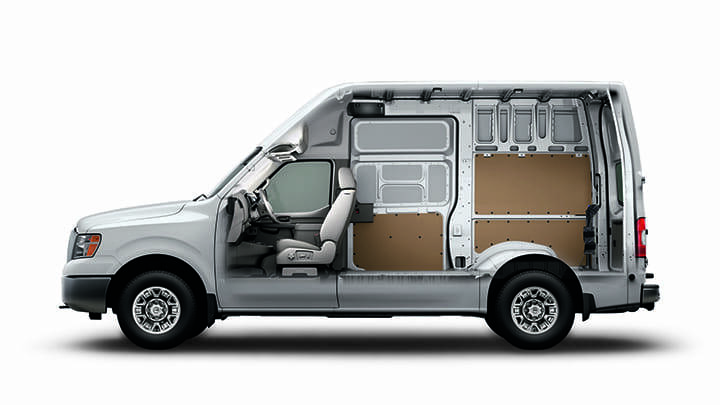 NV® Cargo even makes it easy to fit the special needs of your business with integrated reinforced cargo-mounting points that help ensure easy and durable upfitting, and a smart flat-wall interior design that maximizes floor space and opens up room at the top of cargo containment systems. This package features three adjustable, ADseries shelving units and a partition. Available for Standard or High Roof. Also available in 60" Tall Shelving option for High Roof. This package features drawers for small parts storage, open shelving and removable bins for customizable storage. Hooks on the end panels for easy access to cords and tools from the rear doors. Available for Standard or High Roof. Also available in 60" Tall Shelving option for High Roof. This Cable TV package features ample adjustable shelving, drawers for small parts, and a locking door kit for security. Hooks make cords and cables easy to access from the rear doors. Available for Standard or High Roof. This package features drawers for small parts storage, divided shelving for organizing and locking door kits for secure storage. Blue bins keep small parts organized and are removable to take to the jobsite. Available for Standard or High Roof. Also available in 60" Tall Shelving option for High Roof. The All New EZ Load ladder rack securely grips ladders for safe transport and features more ergonomic loading and unloading. This HVAC package features ample open shelving for large parts and tools, and divided shelving for organizing a variety of cargo. A tank rack accommodates three 30 or 50lb. tanks, and drawer units organize small fittings and connectors. Available for Standard or High Roof. Also available in 60" Tall Shelving option for High Roof. Transform Your Nissan NV into a Mobile Locksmith Shop! Workbench module provides several feet of workspace. Locking drawer units organize and secure small parts and tools. Six Shelf Catalog File organizes manuals and paperwork. Includes ergonomic Key Machine Base. Locking cabinets secure larger tools and equipment. 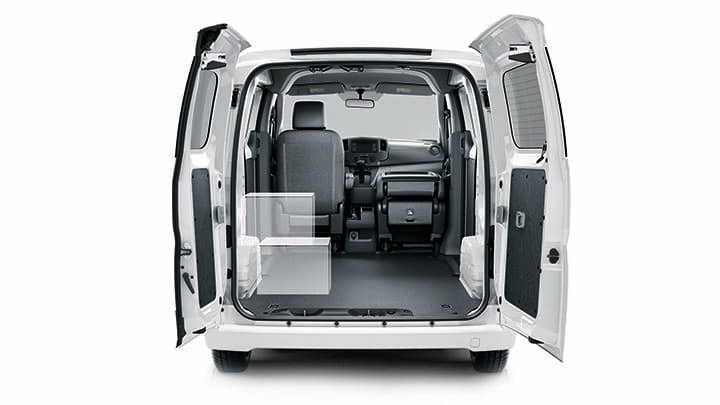 Partition keeps your cargo securely in the back of your NV Cargo. Customize your package with hooks, safety equipment and other accessories! Available for Standard or High Roof. This package features drawers for small parts storage, divided shelving, locking door kits for security and removable blue bins. Hooks and a literature file are easily accessible from the side and rear doors. Available for Standard or High Roof. Also available in 60" Tall Shelving option for High Roof. Keep ladders out of the elements and out of the way with an interior ladder rack. 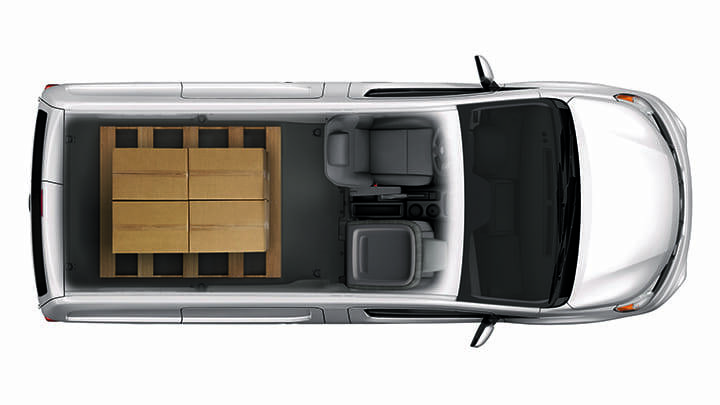 Store up to an 6 ft. step ladder inside your high roof NV Cargo. 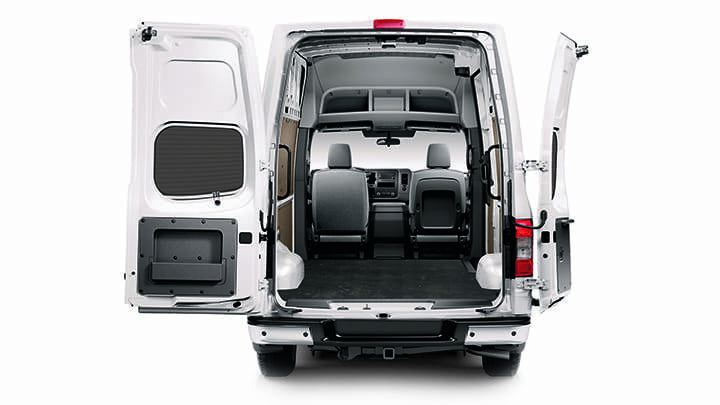 A full height cargo partition keeps your cargo in the back and helps with cab climate control. Bolt on partition accessories allow for easy access and organization.